Farmers and producers from a selection of inviting locations in the Tamar Valley will open their gates for the weekend on Saturday 23rd and Sunday 24th November to share their stories and give you a real taste of life on a small working farm. Find out what’s happening on Tasmania’s farms in springtime! Enjoy a tour of the farm, orchard or paddocks, meet the producers and hear their stories, find out more about what it’s like to run a small agri business in one of our produce heartlands – or just enjoy the magnificent landscapes and scenery! The West Tamar Valley is blessed with wonderful soils and micro-climates, and small pockets of land which are perfect for growing Tasmania’s premium produce. We look forward to sharing this special part of the world and the wonderful lifestyle it offers with you! The only Tasmanian cider mill devoted to using the methode traditionelle to make sparkling ciders of exceptional quality and – drinkability! Caro and Chris Brown have studied the science of cider making extensively overseas, in the cider producing regions of Germany, France and England. 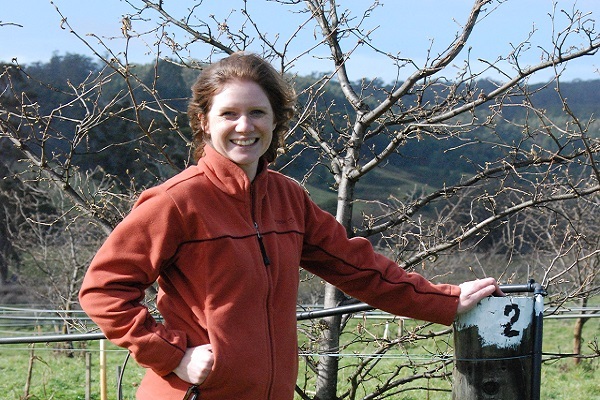 Caro hails from proud Tasmanian apple growing stock herself, having grown up in an orchard property in the Huon Valley. Since moving onto their property in the West Tamar, Caro and Chris have transformed the former pear and walnut orchard, planting heritage apples for culinary uses and cider. You will be one of the first people to visit their new processing facility and cellar door. Caro and Chris will be on hand to give talks on cider making and offer tastings and sales of their delicious sparkling cider. For a more in depth look around the orchard you can purchase a prebooked tour ($5). These will take place at 10am, 12 noon and 2pm each day. 45 mins in duration. Tasmanian Natural Garlic & Tomatoes will also have a stall onsite during Saturday afternoon and Sunday. BYO picnic in the orchard. Tours: Short 10-20mins and Prebooked 45mins. From 10am. Friends Susan and Narelle came to Tasmania looking for sanctuary, and found it on this beautiful mixed berry farm in Bridgenorth with its tranquil feel and rambling orchard. Besides the boysenberries, blackberries and other varieties that Susan and Narelle are still discovering, you’ll find picnic tables, a picturesque setting and gardens, and small but beautiful lake – fed by a stream that also feeds the farm’s produce. The pair have spent their first few months of ownership restoring the orchard and meeting customers who have visited the farm in the past to pick their own berries. While the berries will still be ripening in November, there’s no doubting the warm welcome and the tranquillity. Come visit for a picnic and a stroll around the orchards, and treat yourself to some farm-made jam – it couldn’t be more local! Refreshments available including muffins, tea and coffee, cold drinks and lollies or BYO picnic. Please note no credit card or Eftpos facilities are available at this farm – cash sales only. Tours: 30-40mins. Hourly from 10am..
Complex, intriguing and sometimes confronting, Grey Sands Wines wines are cellared prior to release and have gained a reputation as some of the most exceptional cool climate wines produced in the region. The only thing to surpass owners Rita and Bob’s love of wines is their passion for gardening. Now in its thirtieth year, the garden at Grey Sands featured regularly in Open Gardens Australia and has reached a lush maturity, offering shade, picnic nooks and something to delight even the most experienced garden designer’s eye at every turn. On the Festival weekend you’re invited to enjoy wine tastings in a garden setting, stay for a glass or two, or BYO picnic and stay for longer! Find a shady nook and throw a rug on the ground, or enjoy one of the table settings with spectacular views over the vineyard to the valley beyond. Wine tastings and sales by bottle or glass available. BYO picnic in the gardens. EFTPOS available. Tours: Short Tours. 10-20mins from 10am. 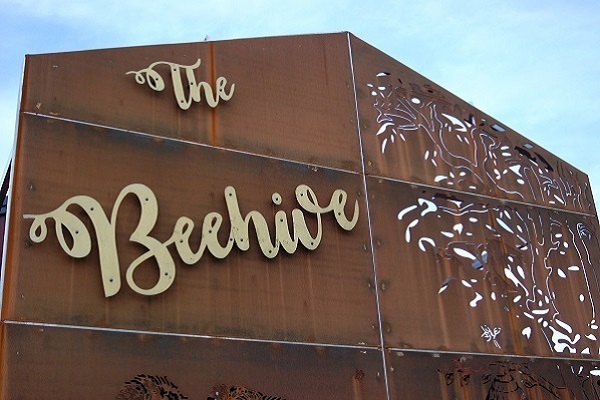 Honey Tasmania can now be found in the Beehive, their splendid honey showroom in Exeter. Learn all about the remarkable journey from flower to jar, and appreciate the wonder that is the honeybee. You can also taste the uniquely different varieties of pure raw honey made by our millions of industrious bees. Honey Tasmania’s hives are moved around between locations in the north of Tasmania, following the flow of nectar and pollen. This allows the company to bring you over 15 distinctive honeys. Tristan and Rebecca Campbell, the beekeeper and the honey seller, are two of the most passionate and knowledgeable bee lovers you will find. There’s nothing they love more than to talk honey, honey products and bee keeping. The shop offers a wide range of honey alcohols including traditional meads, liqueurs, whiskeys and ales – as well as locally crafted giftware celebrating the beauty of the honeybee. Tours: Short. 10-20mins from 10am. See hobby farming in full swing at Langdale Farm – not just a farm but also a food and agri-tourism business. Oliver Stocker raises rare breed Berkshire and Wessex Saddleback pigs in a bush block on just a few acres, and makes premium bacon and sausages which the couple sell at award winning Harvest Launceston farmers’ market and through local fine-food providores. The farm has a place in the new sharing economy, offering tranquillity and a taste of real rural life in its comfortable guest accommodation. Meanwhile, Fiona Stocker is a local author writing about their endeavours, rural life and the food and tourism sector in Tasmania in her own books and in magazine features. 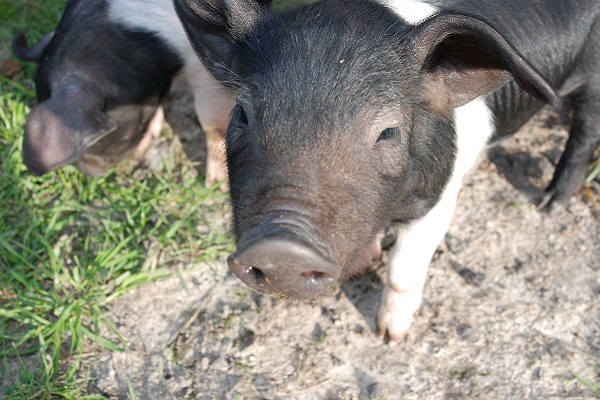 Take a tour of the farm with Oliver, meet the pigs and maybe even pat a piglet! See the smoker in action and learn about making your own sausages and bacon, building your own smoker, and curing and smoking your own meats and other products. 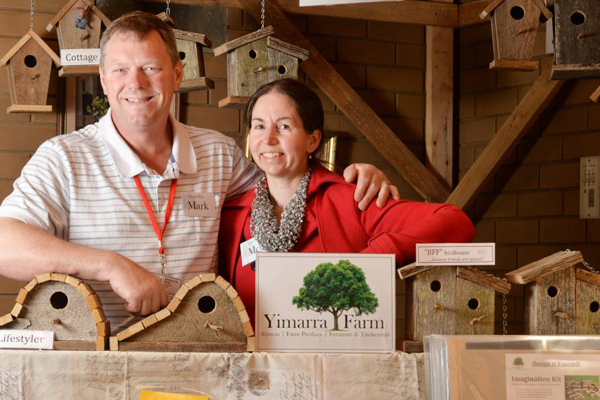 Chat to Oliver and Fiona about their move to Tasmania and survival in a small regional farm and food business. And don’t forget to grab a delicious sausage in a roll from the barbecue, served with farm-made relish. BBQ gourmet sausages in a roll with farm made relish for sale at the farm. Tours: 30-40mins. Hourly from 10am. 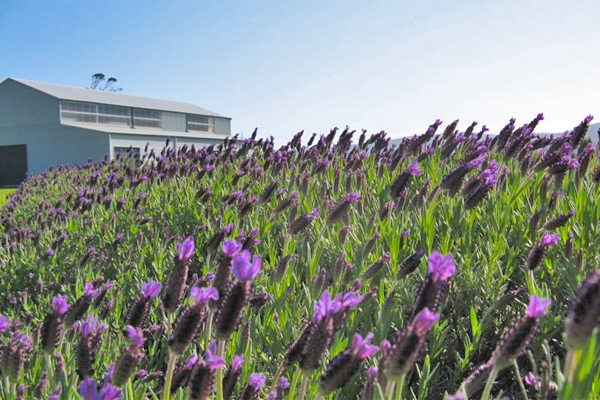 Located in the small town of Rowella, Lavender House was established in 1991 and is inspired by a passion for lavender and the natural therapeutic values of herbs as simple natural remedies. The heart of the business is the bright Perfumery building where products are made on site. Visitors during the Farmgate Festival will have the opportunity to observe the manufacturing and processing areas, learn more about the benefits of herbal skincare and enjoy sampling of an extensive range of the true lavender and aromatherapy products. 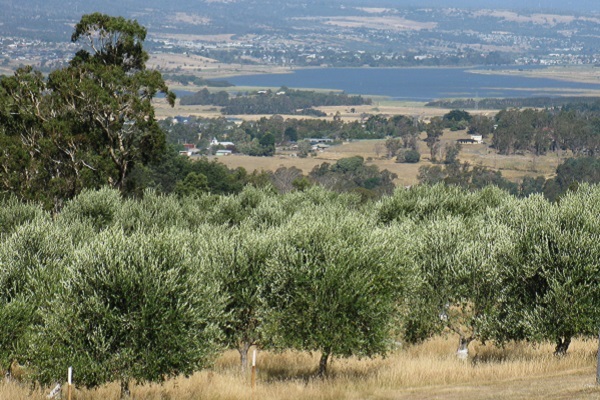 Lentara Grove produces award-winning extra virgin olive oil from olives lovingly grown on site by owners Martin and Sophie Grace. 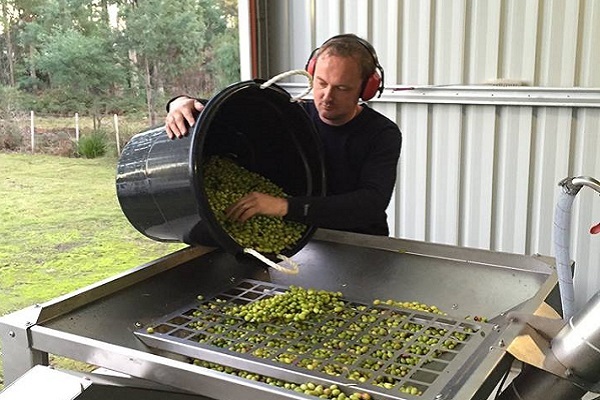 Martin will explain the process of how the grove’s olives are cold pressed on site within hours of harvest in a spacious, purpose built processing shed, and bottled in small batches for the freshest possible product. The farm is located on a sweeping rise just north of Exeter, and the area’s unique micro-climate produces olives and oils of exceptional quality. A new range of teas were introduced last year, and the couple also make a range of premium skincare products that will leave your skin feeling the best it has ever been. Dukkuh and table olives are also recent additions to this innovative agribusiness with new enterprises coming on board soon. Sales of all products will be available on the day – try for yourself to taste and feel the difference! 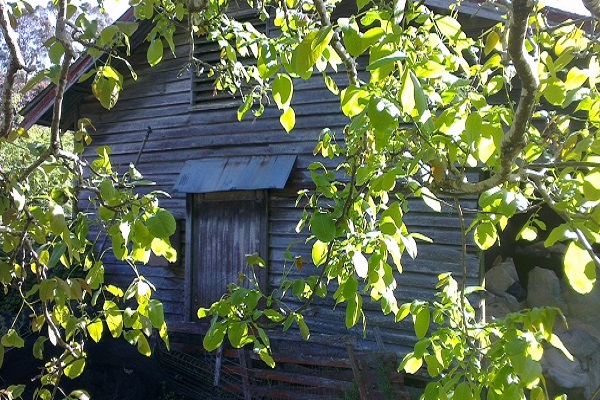 Muddy Creek is a historic apple and pear orchard just outside Legana, now owned and run by Kym Shilton and Peter Farquhar, assisted by their three boys. The perfect 130-acre property is bordered by Muddy Creek, which is much prettier than its name, and has views out to the Tamar River. It features heirloom apple varieties like Gravenstein, crofton, cox’s orange pippin, red delicious, fuji and lady in the snow along with six types of pear, including the original winter cole trees planted in 1915. All continue to bear fruit, and this year will drop their 100th crop. Peter and Kym sell all their fruit direct from the apple shed on weekends from February to July, and supply the IGA in Exeter, and speciality produce store Alps&Amici in East Launceston. Whilst the trees won’t be in fruit, there’s still plenty to see on the farm tour in November. It’s a beautiful time to be in the orchard with the bees, blossom and one of Tasmania’s only flocks of Shropshire sheep. And then there’s Peter’s cider, described as experimental – you’re welcome to request a taste. 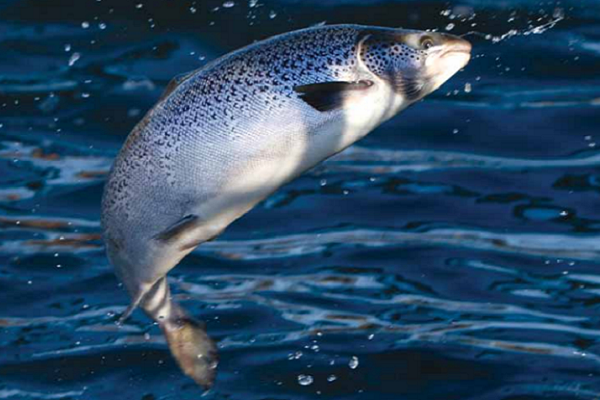 Atlantic Salmon are farmed by Petuna Aquaculture in the tidal waters of the Tamar River at the their Rowella marine farm. Salmon have been farmed here since 2000, when four steel cages were installed. The farm now has 28 cages, accessible from platforms and linked to the shore by walkways. This makes it unique among aquaculture sites in the southern hemisphere. Farm employees can walk or if necessary drive onto the platforms, for feeding, cleaning, maintenance and harvesting, and all operations are possible without the use of boats. The Rowella farm grows 2,800 tonnes of salmon per year and employs 25 people. Children aged 8 and over only permitted on tours, and must be supervised closely by an adult at all times. We regret that tours are not suitable for pushchairs, or wheelchair access. Please note that the marine farm will be operational during the festival and this will include the harvesting of fish, a mechanical process carried out with best practice and the welfare of fish uppermost in mind. Book your visit to Petuna Seafood through the Festival website. Children must be aged 8 years and over, and supervised by an adult at all times. No dogs allowed. TOURS: 10am, 12noon and 2pm. 60-90mins. 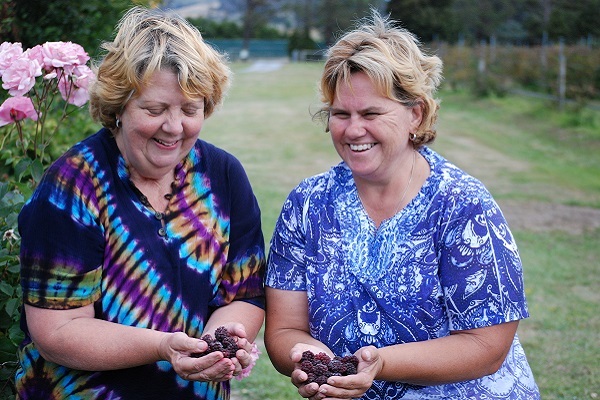 Since moving onto their farm in 2010, Carol and Nathan Bracken have planted five thousand hazelnut trees. These are are now beginning to produce in commercial quantity for the wholesale and niche gourmet market – think hazelnut gin and premium hazelnut chocolates! On the Festival weekend you can tour the orchard and visit the farm sheds to see how hazelnuts are cracked, sorted, air dried and packaged. There will be tastings and sales. BYO picnic in the hazelnut orchard. TOURS: Hourly, 40-50mins from 10am. Located on the lush green hillside of Glengarry, Tamar Valley Pastured Eggs was started by three Queenslanders embarking on a tree change and respite from the heat. Based on sustainable principles, the farm utilises stock rotation to regenerate pasture and produce quality products. 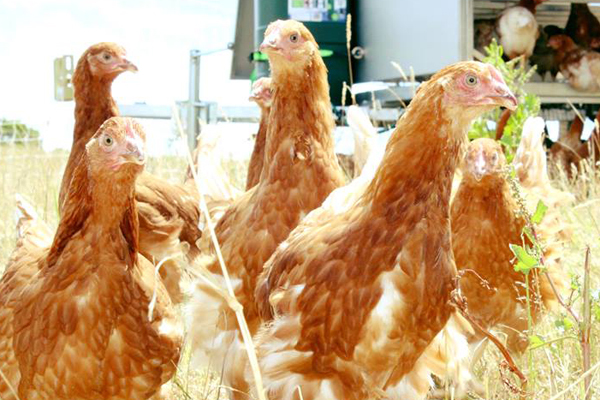 Fresh eggs are laid by pasture raised Lohmann Brown Classic hens. These mild mannered and high performing chickens are given unrestricted access to green pasture during daylight hours. This beautiful olive grove of 830 Frantoio variety trees is tucked away in the folds of the Grindelwald hillsides with views over the Tamar River. Here, Allen and Barbara Baird harvest their olives while still green, for robustness and health benefits, and get them pressed straight away for freshness and flavour. The resulting taste sensation is a truly premium extra virgin olive oil which has won awards at both state and national competitions and was snapped up by 3-Michelin star French chef Alain Passard when he visited Tasmania in 2017. Allen and Barbara are true olive oil enthusiasts. Meet them at the grove and discover ways of eating olive oil you’ve never previously dreamed of. Besides the usual, such as with pasta and salads, there’s Allen’s favourite – drizzled over vanilla ice cream with a sprinkling of sea salt! Try the oil for yourself at the grove where it’s grown, with locally baked artisan breads and homemade dukkah. There will also be demonstrations and self-guided walks through the pretty slopes of the grove, and of course the natural tranquillity and views of the Tamar estuary. Waterton Hall Wines is based in a magnificent 1850’s homestead, Waterton Hall. This is an astonishing property, set in a stunning location at Rowella. History meets contemporary here in style! 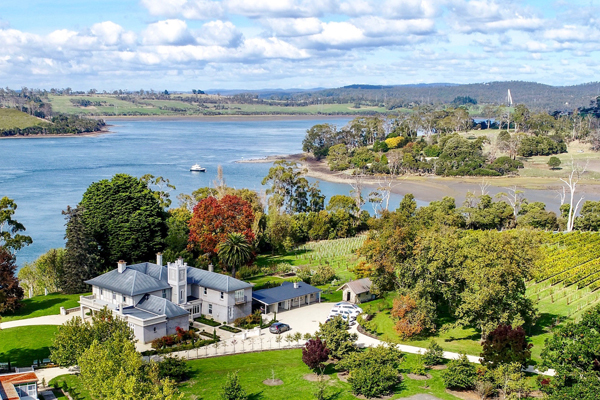 The Hall, historic outbuildings and surrounding vineyards enjoy sweeping views of the Tamar River, Northern Tasmania. The pristine river banks and cool climate of 41 degrees south, allow an elegance and finesse from this hand-picked, single vineyard. Waterton Hall is a passionate family-owned business. You will love meeting the personalities behind Waterton Hall Wines who pursue excellence from soil care right through to the beautifully designed label on the bottle. Make sure you ask about the story behind it! Your visit to Waterton will include seeing the Riesling, Viognier (unique to Tasmania!) and Shiraz (rare in Tasmania!) varieties of grapes which are set amongst stunning scenery and astonishing buildings that will take your breath away. Visitors can enjoy complimentary wine tastings with matching food. Riesling with smoked nuts, Shiraz with cheese biscuits and Viognier with strawberries. Delightful! For wine gurus please note the 12 noon tour will be specially focused on the grape growing, vineyard management and processes. 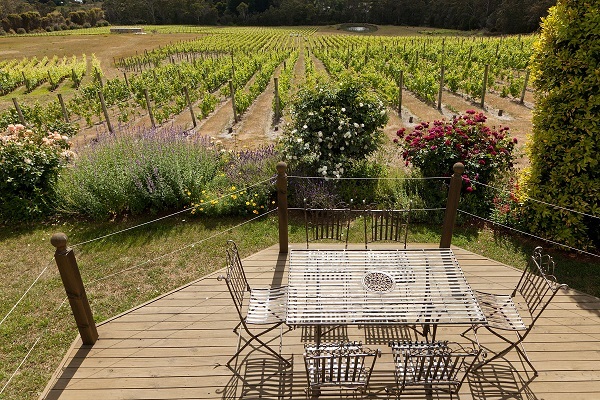 Winter Brook Vineyard is nestled on the rolling hills of Loira in the centre of the Tamar Valley. The boutique vineyard specialises in both wine and cider, producing grapes and apples on the property. Winter Brook are proud be the sole grower of the Blaufränkisch and Dornfelder variety of red grape. Other grapes grown include the classic red, Pinot Noir and white varieties including Chardonnay, Riesling, Sauvignon Blanc and Pinot Gris. 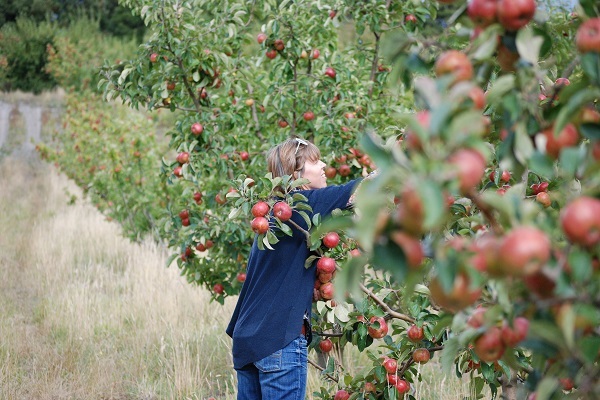 The orchard is home to Golden Delicious, Frederick, Cox Orange Pippin and Kingston Black apple varieties. 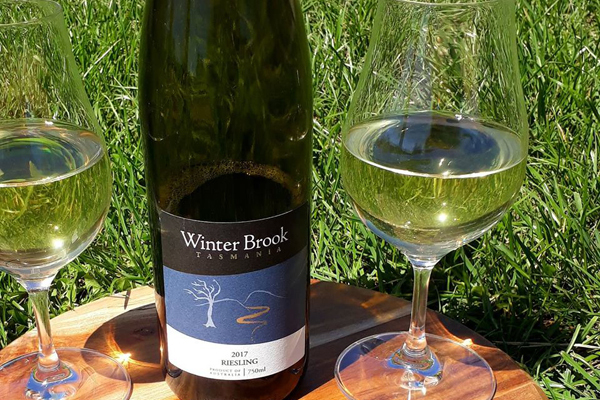 The excitement, passion & hard work continues during the wine making process as Winter Brook turn their freshly grown grapes and apples into cool climate wines and ciders. The end result of this unique and genuine experience can be found in their rustic tasting room where you may sample the final products. With so much love given across their product range you will surely identify multiple stand outs. The property is dog friendly and visitors are encouraged to utilise shaded picnic tables and stunning views with BYO picnics. As a final quirk of your visit, talk to Frank and Nicole about their snail farm. Yimarra Farm offers an authentic and unique experience about being a small land holder in the West Tamar. Meg and Mark will share with you their small but developing mixed farm, situated at Glengarry. As you are shown around their 14 acres bush property, you will meet the charismatic Alpacas, view the timbercraft and gifts and peruse the quality organic food that is produced in their garden and orchard. Timbercraft knitwear and furniture are all available for sale as well as fresh produce including limited amounts of eggs, blueberries and garden vegetables. Tea and coffee will be offered to guests and the more adventurous may wish to go on a half hour walk around the property or try some edible flowers. A treasure hunt for the kids will ensure every one will enjoy their visit.